Fall is just around the corner, which means much colder and chilly days. Now is the perfect time to put away some of those sundresses and replace them with some warm comfy jackets! This Fashion Friday, we’ve put together (what we think) are the top 3 essential jackets that are perfect for the fall! These 3 jackets are very versatile — they can be worn with casually, for the office, or even on a date or out with the girls. Inspired by a few fashion bloggers, we’ve also put together pieces that would go along with these jackets for a stylish outfit of the day. 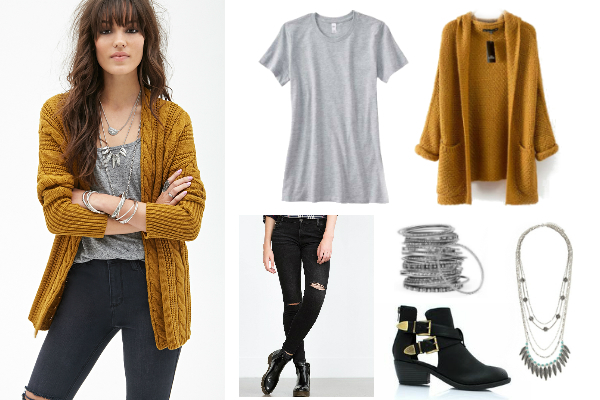 Thick knit cardigans just scream Fall weather! They’re extremely cozy, lightweight and thick enough to keep you warm during slightly chilly days. At NYFifth, our Thick Knitted Batwing Hooded Cardigan (available in khaki or mustard yellow) is one of our customer favorites! You can pair it with a simple gray shirt (like our Bella + Canvas Made in the USA T-Shirt) and black ripped jeans. Dress up the outfit with accessories such as silver bangles and layered necklaces with feathers and blue accents to stand out for a stylish boho outfit. Don’t forget to wear your favorite black booties to keep you warm on cold fall days. We’ve been seeing a trend in trench coats, especially lightweight trench coats. They can be worn with a dress to work or causally with your favorite pair of jeans. 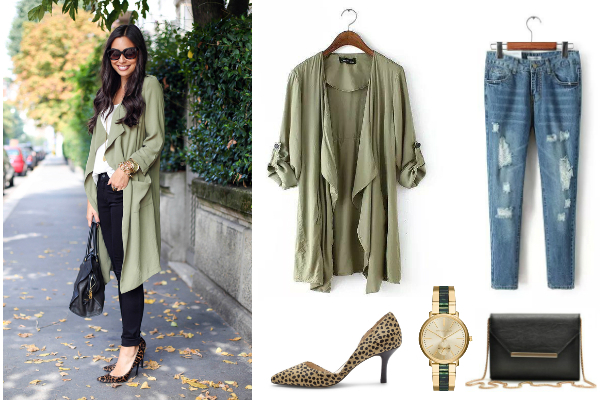 One of our favorite lightweight trench coats is our British Style Casual Loose Trench Coat in green (pictured above)! A great wear to wear this coat is to pair it with some ripped skinny jeans and a nice white loose blouse. Don’t forget to accessorize your outfit with a nice gold watch and a black clutch/crossbody. Break up the monotone by wearing some fun cute cheetah print heels! Last, but not least, is a classic staple to any woman’s wardrobe: the leather jacket. Leather jackets have become increasing popular as they can be worn with your favorite home t-shirt and jeans, a nice dress, or with an oxford dress shirt for work. At NYFifth, one of our favorites is our Punk Style Black Faux Lather Jacket paired with a striped v-neck shirt from Anvil! For a causal and relaxed feel, throw on some cute ripped blue denim jeans, a slouchy beanie and some low-top white converse. 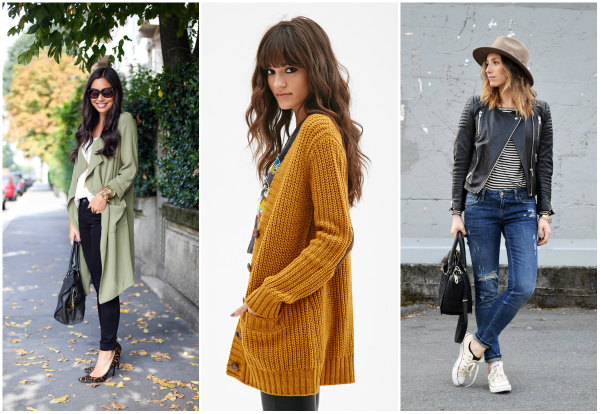 Which outfit will you be rocking this upcoming fall? Let us know by commenting below!